rmlint finds space waste and other broken things on your file system and offers to remove it. can do you do it fast too? And how do you get rid of the results? Some of you might remember this tool since it had another thread here. rmlint has been completely rewritten in the meantime. Much cleaner and extensible code with less bugs. More tests and less nonsense features (--junkchars, --oldtmp, posix regex!). Speedups regularly between 2x and 8x of the original speed or even more. Saner, more unix-ish commandline interface. Filter duplicates by basename, file extension or only files newer than a certain mtime. The new version is not compatible to the old one. Do not assume it works with the same options! But it should be noted that the new version does not ever delete files itself, but gives you weapons to do so. It's still fresh software that needs packagers, translators, bugfixers and mostly testers. People that want to port rmlint to other platforms (OSX, BSD*) are welcome too of course. In any case, GitHub is where the action should happen. If you know a little Python, adding a testcase to our testsuite along with your bugreport would be great. At this point: a big thanks to my co-author SeeSpotRun which made this happen. We're proud to release the new rmlint version 2.2.0 "Dreary Dropbear"! 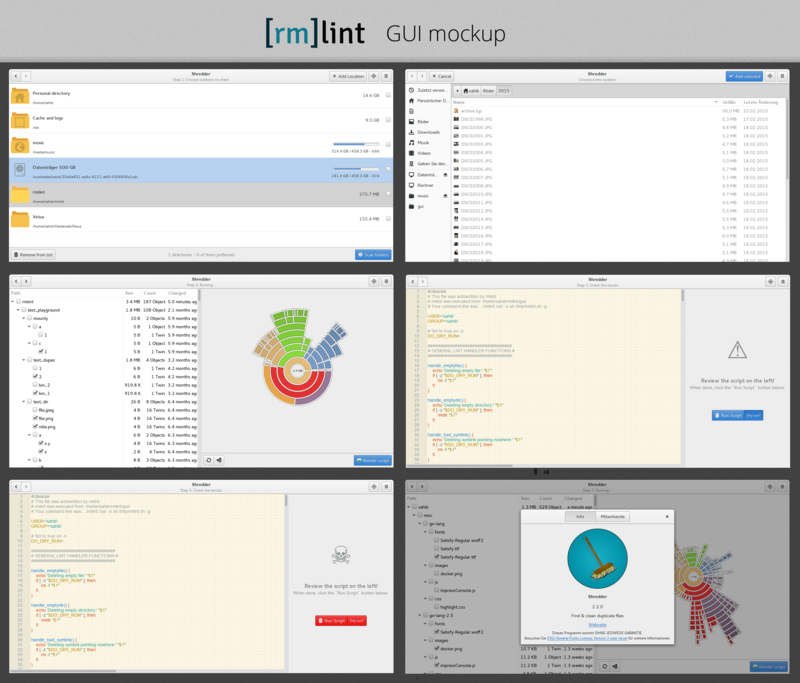 Rmlint is a fast, feature-full but still easy to use lint and duplicate file finder. - Improved speed, particularly for byte-by-byte comparison option "-pp". - Reduced memory footprint. This is particularly important for very large data sets (>5 million files) which rmlint now handles with ease. - Fix some annoying bugs and crashes (especially on 32bit). - Improved testsuite to ensure internal program integrity during development. directories (-D) and fast byte-by-byte comparison (-pp). - Testers and morale boosters. Give us some feedback via Issue Tracker. - Packagers for other distributions. You can also vote for the AUR package to get included in the official repos. - Beer money is appreciated too of course. - Make shell script perform sanity checks. 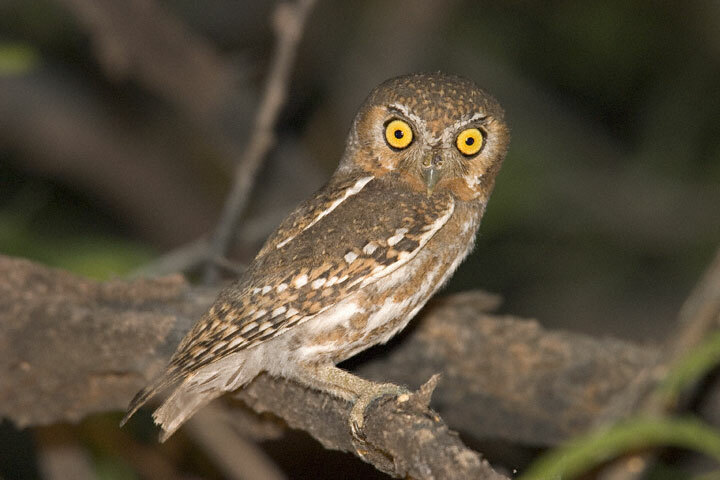 we're happy to release the new rmlint version 2.4.0 Myopic Micrathene. If you wonder what a Micrathene is, look here. - A new optional GUI frontend based on Python/GTK3. - A benchmark suite to protect against performance regression. the user specified -c sh:clone. - New --replay option that reprocesses the json file(s) of a previous run. - New --sort-by option that sorts rmlint's output. Sort for example by size (--sort-by s) to print the biggest size suckers first. - The shellscript now does sanity checks before removing files and can be told to double check the files before removing them. That's of course a short list for about 700 commits. While we're a somewhat healthy Open Source project, we can't do everything alone. rmlint on other systems or translating it to languages we don't speak. - Packagers, particularly for Debian/Ubuntu. See here for more info. There is already a package for Arch, thanks to Massimiliano Torromeo! - Translators: See here for more information. - Testers and Patchers. Especially for the new GUI, since it is a separate codebase. - Beer money is always welcome. Not many. We'd like to stabilise rmlint now and go up in smaller version jumps. Have fun while killing some files.